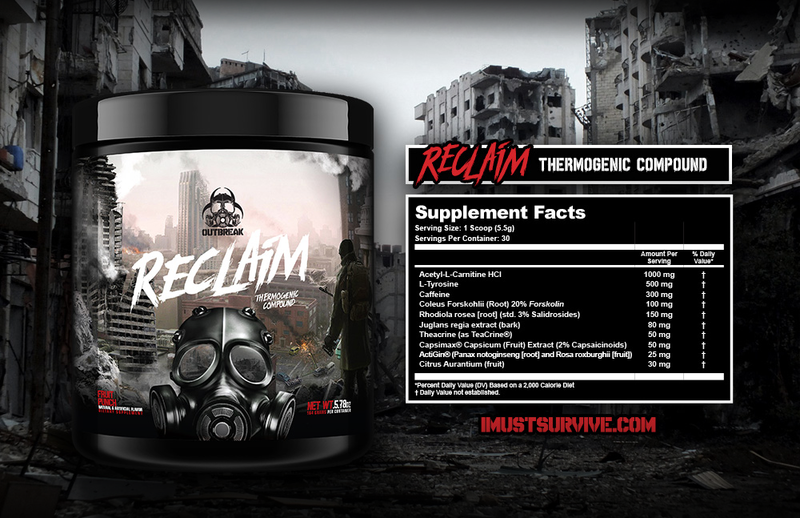 Outbreak Reclaim™ is the ultimate fat-stripping formula for post-apocalyptic survivors who don't want to get left behind. It was designed to harness multiple ingredients that contain thermogenic causing properties. Thermogenesis is the production of heat within the human body, which in turn consumes calories and stimulates fat loss. Simply put the better the thermogenic effect, the more calories that are used by the body. While there are many weight loss products out there, these days very few can claim to focus on this most effective method of actual fat loss. This is what separates Reclaim™ from the pack. 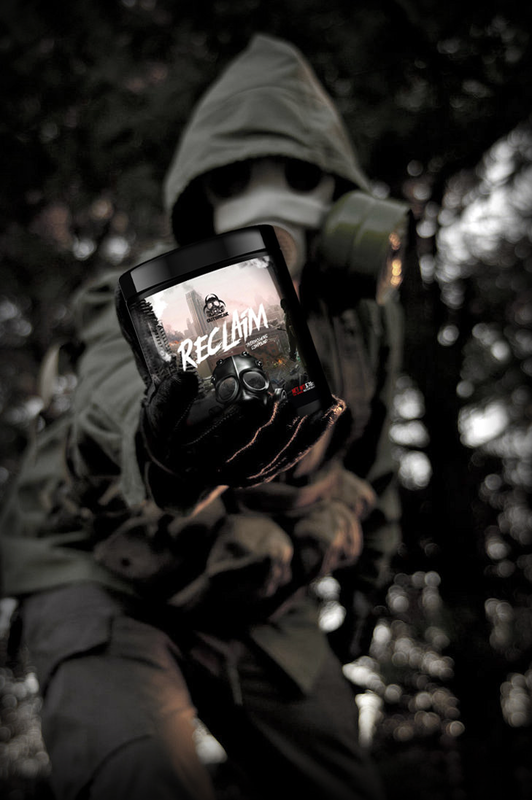 Reclaim™ is a true thermogenic compound. This is not just a sports supplement; this is a supplement for survival. Acetyl L-Carnitine is an integral part of any fat-loss formula. This ingredient helps to move fatty acids to the mitochondria of cells where they are used as fuel. The result is a body that is more efficiently equipped to use body fat as a source of energy. This converting of fat is vital when dieting to prevent muscle proteins breaking down and losing muscle mass. Acetyl L-Carnitine is also a fantastic nootropic that promotes improved memory, concentration, cognitive ability, and mood. 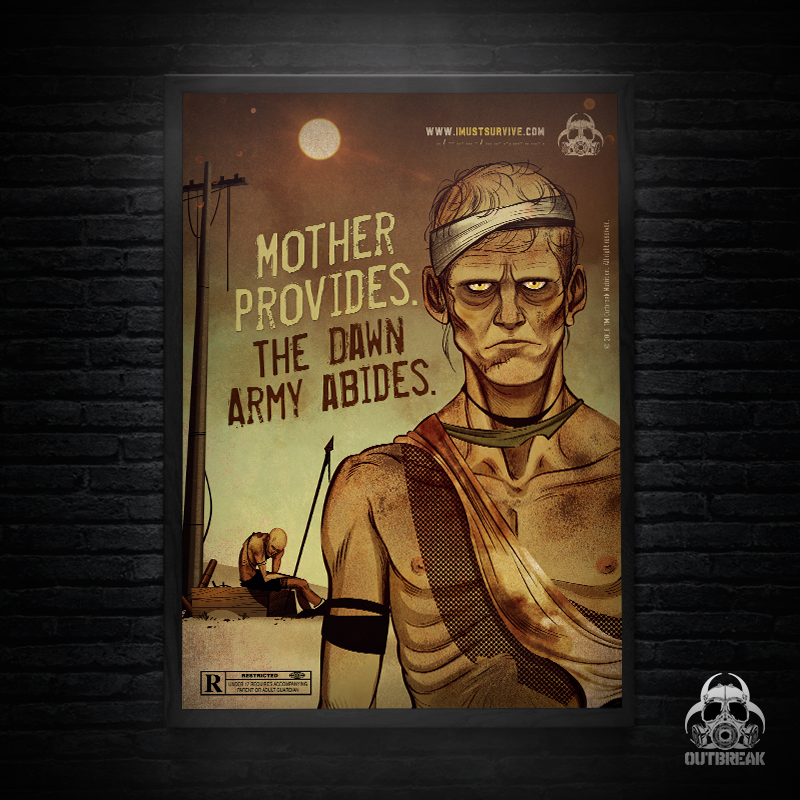 Exactly what a survivor needs to stay focused. L-Tyrosine is focused on the suppression of hunger while providing a mood boost and stress relief. Clinical studies have shown that L-Tyrosine reduces appetite while boosting the thermogenic activity of other compounds found in Reclaim™ including Caffeine and Capsaicinoids. Caffeine is well known as an intensive energy booster that, when combined with other well known thermogenic ingredients, significantly boosts their effects and increases results. Caffeine also provides a much-needed energy boost to help survivors get through another long and demanding day..
Forskolin is an ingredient with a two-pronged benefit. It works as an effective thermogenic agent and a potent appetite suppressant. Coleus Forskholi containing Forskolin has shown promising results in clinical trials, which indicate that muscle wastage is prevented while dieting - a key component of any weight loss regime. Rhodiola Rosea has many proven benefits in a weight loss formula. It has been shown to not just decrease fatty acid levels but to also become supercharged in combination with Synephrine (also in this formula). Rhodiola Rosa is also an effective stress relief ingredient and has promising results from studies related to combating binge eating. This Extract containing high amount of 2-amino-5-methylheptane which is an extremely strong stimulant and mental cognition enhancer. This extract results in a rapid increase of energy and focus as well as being an effective appetite suppressant as well. Jugland Regia extract also allows a release of Dopamine and Seratoning resulting in an enhaced feeling of well being. The type used in the French study was Micellar Casein, which is isolated from milk by filtration, rather than by use of acid or heat. The filtration method I use preserves the structural integrity of the protein, unlike what occurs in other processing methods that many others use. When heat or acid is used to separate casein out of milk, the micelle’s structures are altered, resulting in a loss of biological activity and digestibility. Capsimax® is a trademarked version of a capsaicin extract that is high in purity but with a special coating that protects against the burning sensation that you would normally expect from drinking it (although you should still drink it within 10 minutes). Capsaicin is well researched, and the evidence clearly shows its exceptional ability to promote a thermogenic reaction within the body. Within only minutes of ingesting Reclaim™ you will feel the familiar effects of warming up. ActiGin® is a proprietary, all-natural plant-based formulation that derives from highly purified Panax notginseng and Rosa roxburghi, made using a pharmaceutical grade extraction and processing technology. ActiGin® has been extensively studied to prove that it delivers significant recovery benefits to the body. ActiGin® also defends against muscle wastage, which is vital when dieting or taking a thermogenic compound. Synephrine is a potent stimulant that has repeatedly been studied to show advanced thermogenic properties resulting in weight loss, both on its own and in combination with many ingredients found in Reclaim™. Synephrine also increases lipolysis and fat oxidization after ingestion, resulting in rapid fat loss and thermogenic activity.